James Owen Batchelor was born in Wangaratta, Victoria in 1865. His parents, Edmund and Catherine Batchelor (née Cainan or Keenan), operated a farm at One Mile Creek. He was recorded as passing his matriculation exams at the University of Melbourne in 1884. He married Elizabeth Ann Hyne Williams in Sydney in 1894 and they lived at 83 Wells Street, Redfern. They had six children – Edmund (1896), Mary (1899), Dorothy (1902), Elizabeth (1904), Helen (1907) all born in Redfern and James (1911) who was born in Ashfield. The electoral rolls of the 1930s list Batchelor as an auctioneer and then timekeeper living in Kogarah. He died in Kogarah on 21 October 1944 and was buried two days later at Rookwood Cemetery. James Batchelor was an auctioneer. He worked as a fish salesman at the Southern Fish Market in Redfern from about June 1897 until March 1898 before establishing his own fish market on Redfern Street. His employer described him as ‘sober’, trustworthy and ‘industrious’. Batchelor was an important voice when it came to the fish trade in Redfern and was quoted in the Evening News in March 1900, objecting to bylaws passed by the City Council which prohibited the sale of fish not purchased at the Eastern Markets in Woolloomooloo. He called on Redfern Council aldermen to take action to protect Redfern’s markets from these restrictions, to which they responded in kind. The following year he was elected an alderman of Redfern Council. On 4 April 1903, he officially opened another, newer fish market opposite called the Redfern Fish Market located against Eveleigh, now Redfern, Railway Station. According to The Sydney Morning Herald, the enterprise was a ‘roomy, modern building, admirably adapted to the display and cleaning of fish on separate floors’ with an ‘electrically controlled lift’ which conveyed goods through the building. Redfern Aldermen were present at the opening and Sir John Rowland Dacey spoke of Batchelor’s ‘perseverance and enterprise, and good faith’, declaring the business a ‘credit to Redfern’. On 7 August 1905, the Fisherman’s Co-operation of NSW Limited was formed and acquired J O Batchelor Limited as it entered liquidation, with James Batchelor appointed the Chair. The markets in Redfern continued and were referred to as Batchelor’s Market. In 1922, Batchelor purchased a Mr Huckle’s House Furnishing Emporium on Regent Street, Kogarah, renaming the business J O Batchelor & Company. The St George Call described Batchelor as ‘a Sydney man with a fine reputation’. In June 1930, a notice was published in The Sydney Morning Herald declaring that ‘James Owen Batchelor and Elizabeth Anne Hyne Batchelor, trading as J O Batchelor and Company of Rockdale, House Furnishers’ had been declared bankrupt. From the late 1930s, electoral rolls list Batchelor as a timekeeper living in Kogarah. James Batchelor was a Justice of the Peace. 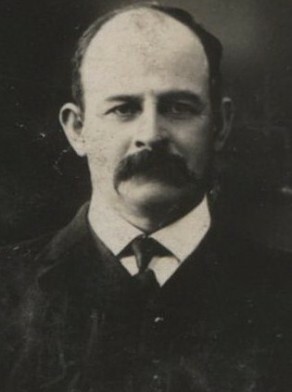 James Batchelor was nominated as an alderman of Redfern Council in January 1902, elected on 4 February 1902. He was elected Mayor of Redfern on 16 February 1906, serving until 4 February 1907. During his time as mayor he spoke out against the City Council and the issues of raising rates for Redfern’s citizens to cover the City’s debts. After his term as mayor ended, he accused one of the council’s electricians of mismanaging Redfern’s electric lighting station. The matter was brought to council and found to have no basis after the electrician responded to the accusation. Alderman Howe called for Batchelor’s resignation, to which Batchelor ‘said he would resign only there was one person who would like to see him out of the council, and he would not please that person’. However, a notice was published on 30 March 1907, that an election would be called to fill the ‘extraordinary vacancy caused by the resignation of James Owen Batchelor’. He was elected an alderman again on 1 February 1908 and served until 1910.